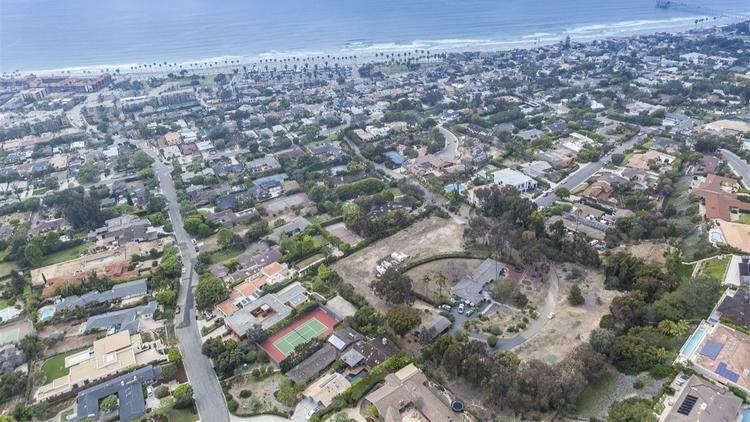 The beach communities of La Jolla and Del Mar were home to the biggest residential sales in 2018, with the most affluent buyers largely leaving Rancho Santa Fe for the coast. Prices paid for the most expensive homes this year far exceeded last year’s totals. In 2017, the biggest sale for a house was $12 million. In 2018, the top 10 homes to sell were all above $13 million. The five highest home sales this year all closed in the first nine months, before San Diego County home sales began to drop and the stock market experienced large fluctuations. Coming in at 14,252 square feet, the house on Idle Hour Lane is the biggest home of the top five. It has seven bedrooms and 10½ bathrooms and sits on almost three acres. The property is near Black’s Beach and the Salk Institute for Biological Studies and has plenty of recreational amenities on the property. Features include a small lake, tennis court, rock-climbing arch, volleyball court, pool, outdoor fire place, a disco, theater, recreation rooms and a guest house. Ted Waitt’s Avalon Capital Partners purchased the property in 2005 for $13.3 million. Waitt is the co-founder of the Gateway computer company. The property was put on the market in 2015 for $22.9 million and was taken off and put back on the market several times. A limited liability company from Dallas called BGP Idle Hour, registered in Delaware, was listed as the buyer. This half-acre property in Del Mar features a 4,620-square-foot home designed by architect Sim Bruce Richards, who died a year after the home was built in 1983. He is celebrated by architecture groups and San Diego’s Save Our History Organisation for his “legacy in wood,” which was exposed and used frequently inside homes. 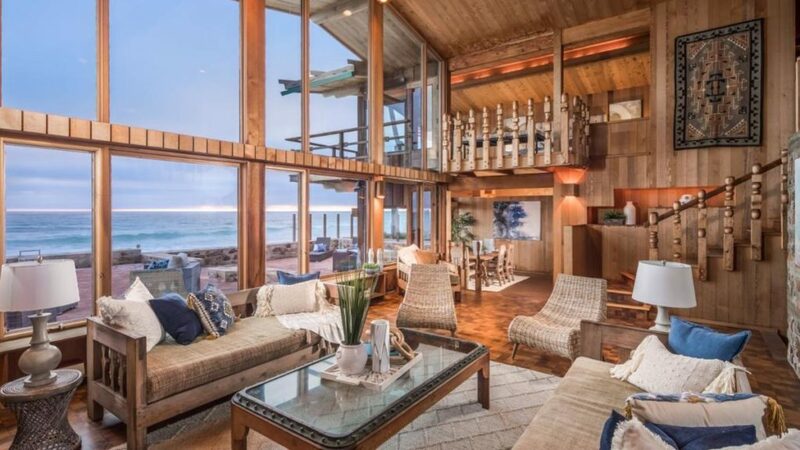 True to form, the Camino Del Mar residence is almost all exposed cedar and arbor and has massive windows to maximize the ocean view. The property sits on the beach and has a 60-foot oceanfront deck. Other features of the property include stained glass, stone masonry, a large courtyard and a pool and spa. The home was previously owned by Harvey Furgatch, the former president of the local American Civil Liberties Union and a commissioner on the California Horse Racing Board. He earned a place in history when he took out newspaper advertisements against President Jimmy Carter in 1980 but was charged by the Federal Election Commission for not registering the ads as a campaign contribution. The case went to the Supreme Court but Furgatch lost. It was unclear from property records who the buyer was. Listing agent Eric Iantorno, who also represented the purchaser, said the buyer was a Nevada man who spent summers in the San Diego area. The property stayed on the market for 86 days and was originally listed for $18.75 million. This 3,880-square-foot mansion is in a gated community on the beach and is situated where the San Dieguito River meets the Pacific Ocean. It is a fairly new home, built in 2010, and has modern features throughout. Amenities include a gourmet kitchen, private courtyard with a pool and spa, 50-foot oceanfront deck, gold marble countertops, built-in stereo system, motorized sunshades and drapes in every room, and Swarovski crystal chandeliers. Public records say the buyer was a family trust operated by Jay Flatley, executive chairman of Illumina. Seller was Robert Carson, a real estate developer. The property last sold for $14 million in 2009. Agent Iantorno, who listed three of the top five sellers, said the thing that made the property truly stand out was that it is in a gated community, but also on the beach. Such a combination is extremely rare, even in the most expensive California beachfront locations. 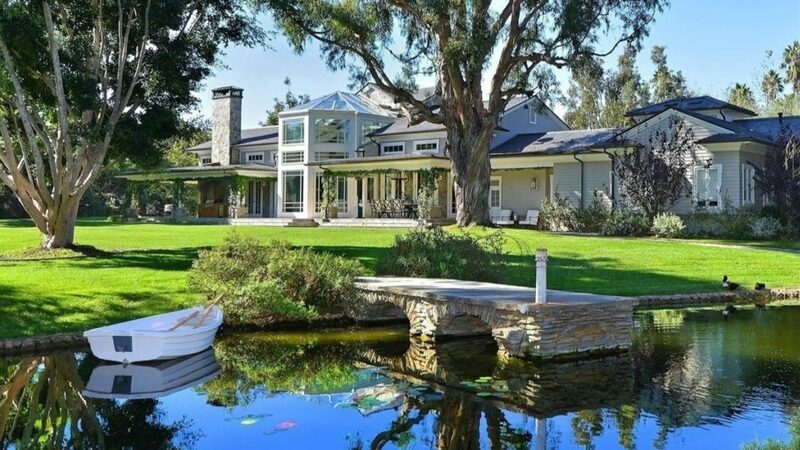 The home stayed on the market for 76 days and was listed for $23 million in April. In 2012, the home was listed for sale for $22.95 million before being taken on and off the market several times. It is located about a three-minute walk from the No. 4 highest seller on Camino Del Mar. 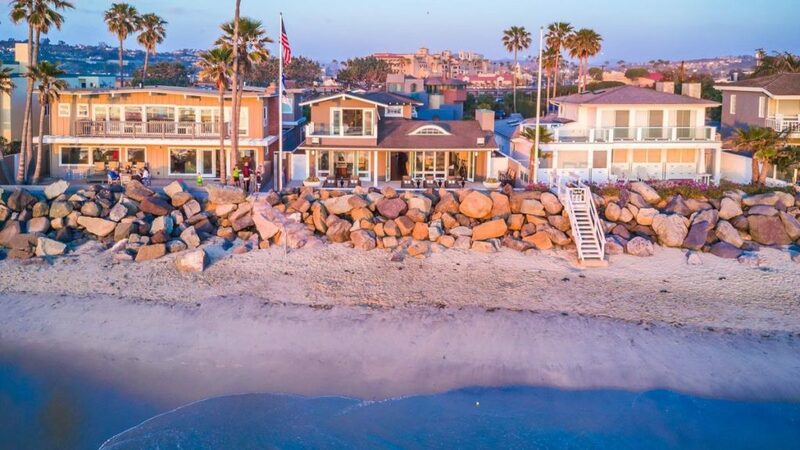 This beachfront house in Del Mar was the biggest home sale in San Diego County in a decade — except for the No.1 sale that is more of a land sale (more on that later). The 6,299-square-foot mansion sits on a cliff overlooking the ocean and the property is 1.1 acres in size. Features in the newly built home include a movie theater, elevator, office, walnut floors and cabinetry, walk-in master closet with a jewelry safe, plus radiant floor heating in the kitchen, dining room and outdoor patio. The home has six bedrooms and 7½ baths. John Hood, the CEO of Impact Biomedicines, and his wife, Sally, bought the home. David Batchelder, founder of activist investment group Relational Investors, was the seller. The property took a while to sell, staying on the market for 151 days. The original listing price was $24.9 million. The listing agent, Iantorno, said the isolation of the property was a major selling point. “You are by yourself with no neighbors around. The views are stunning,” he said. The biggest home sale of the year is really more about the value of the land than the modest house on which it sits. 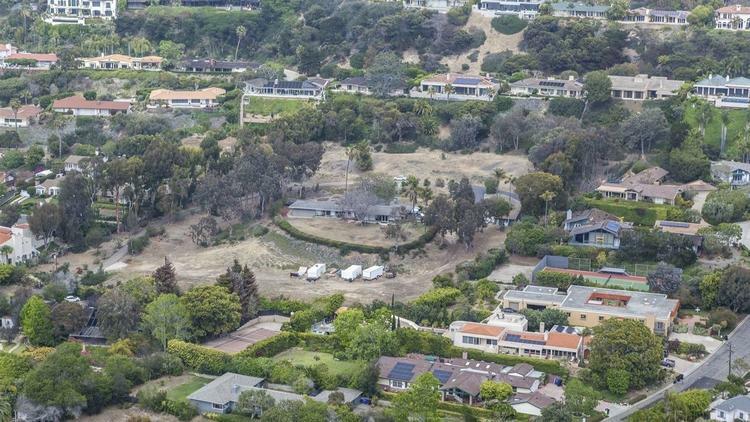 The massive property — 4.5 acres — might not seem large for a community like Rancho Santa Fe, but for La Jolla Shores, it feels like someone bought a big chunk of the neighborhood. There is a 4,000-square-foot home, built in 1945, in the center of the property, but not much else. The house has four bedrooms and four bathrooms, but considering who the buyer is, it’s unlikely it will remain. The manager of the limited liability company that purchased the property is listed as Louis Beacham, who is the president of Beacham Construction. The company is known for building high-end homes in La Jolla, Del Mar and Rancho Santa Fe. Beacham did not return a call for comment. While the purchase price was very high, it still isn’t the highest in San Diego County history. 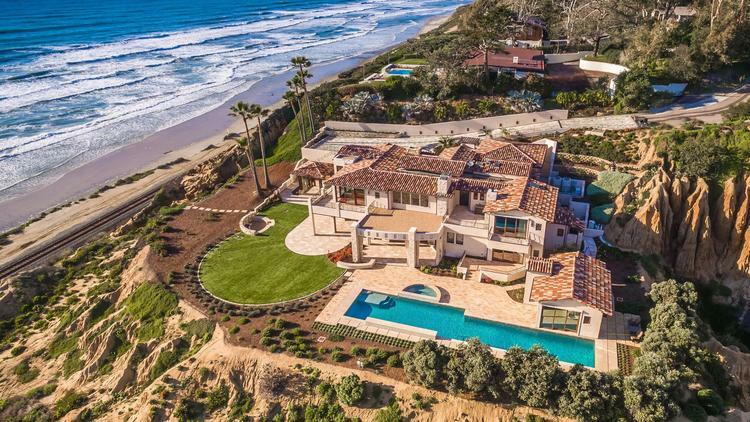 In 2007, a 10,700-square-foot home on Ocean Front Avenue in Del Mar sold for $48.2 million, according to the Greater San Diego Association of Realtors.